Capable of functioning as a preparation counter, dining table and even a storage structure, kitchen islands are must-have fittings for any cooking aficionado due to their efficiency and flexibility. For these reasons alone, making space for one is well worth the effort as these handy peninsulas can make a big impact in a small kitchen. 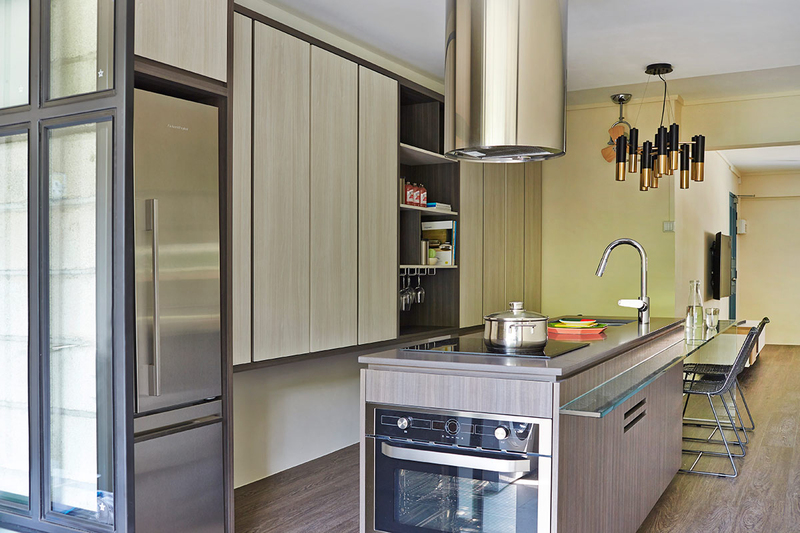 Inspire your next kitchen makeover with these five examples that fully demonstrate the usefulness of an island in a compact cooking space. 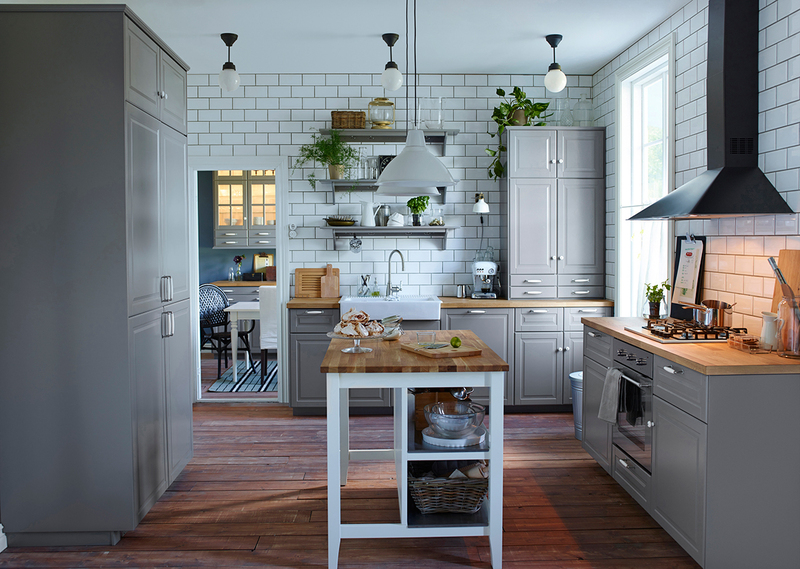 Give your mini kitchen a cool update with a multifunction island that combines varying shades of grey. Apart from breaking up the relative monotony of a neutral palette and creating a synergistic look, variations in light and dark hues also create a visual cue that demarcates different sections of an island. Outfitting a kitchen island with tiles might not be a conventional design choice, but it is definitely a practical one. Easily cleaned with water and soap, a tiled kitchen island can be an invaluable aid to busy homemakers who are in need of a mini preparation counter that is neat, hardy and low-maintenance. With the multitude of useful domestic appliances available on the market these days, it can be hard to resist the temptation of kitting out your kitchen with the latest cooking aids. However, if you are finding it difficult to display your additional appliances, one simple workaround is to integrate them into a kitchen island to free up precious counter space. 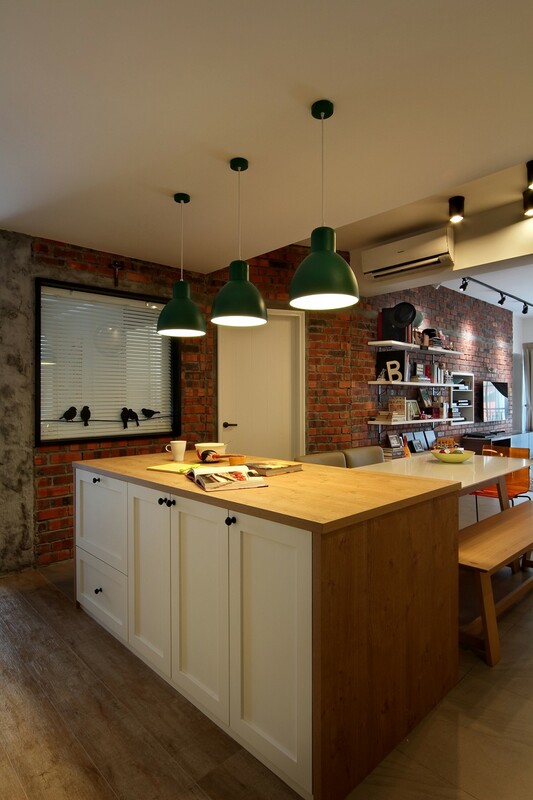 Part utility structure, part centrepiece, an island with a solid wood top can impart style and functionality to a small kitchen. Matching elements, such as wooden benches and laminated flooring, also make for a cosy space that is great for after-work family dinners. 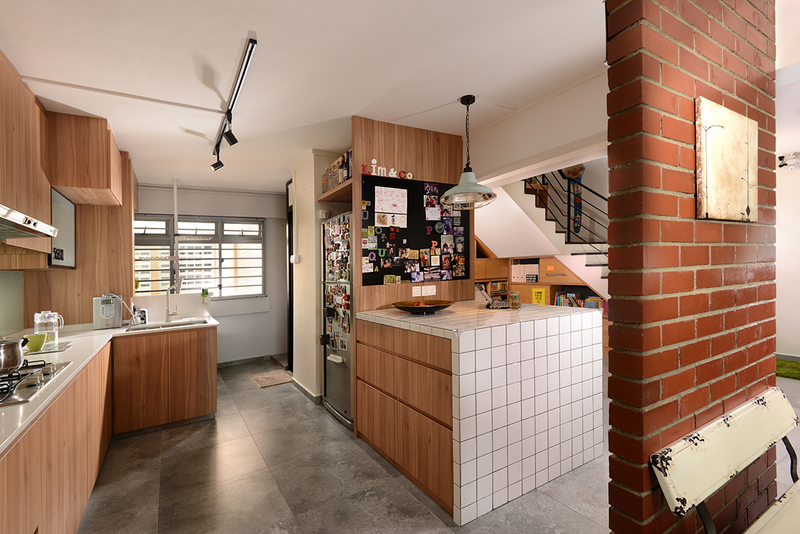 Space restrictions are an inescapable challenge when it comes to designing for a small kitchen, and they can make the idea of a fixed island completely unfeasible. A possible alternative would be to have a lightweight table or trolley cart that is capable of serving a similar role without hampering your kitchen workflow.